The purpose of this plan is to provide a set of guidelines for determining salaries of members of the faculty. These guidelines intend to provide the procedures and rationale for periodic changes in salaries which recognize the training and experience of the individual faculty members, interinstitutional comparisons and increases or decreases in the cost of living. 1. To maintain a rational salary scale based upon the educational background and relevant experience of each faculty member. 2. To maintain, to the degree feasible, equity between compensation at Evergreen and at other institutions with which Evergreen compares itself. 3. To recognize changes in the buying power of the salary dollar. 4. To attain internal equity to the greatest degree possible. 5. To maintain a competitive position in order to retain and attract competent personnel. 1. The scale shall be based upon the number of years of experience relevant to the teaching or other duties for which a person is employed. The dollar value of the scale shall be maintained to make Evergreen salaries as competitive as possible to those institutions with which the college compares itself. 2. In certain exceptional cases, and only after careful scrutiny and evaluation, the position of an individual on the scale may be modified in recognition of a "market place value" for certain fields. Following such an exception, the individual will remain at the starting "experience" until the actual experience years catch up with that starting position. 1. The maximum salary shall not exceed twice the minimum salary. 2. All faculty members shall be compensated according to years of experience as defined on the current faculty salary scale. 3. New faculty members shall be offered initial appointments according to their years of experience as defined in this section and as determined by the appropriate dean and vice president. On appointments for other than nine months, multiply the appropriate annual salary from the scale by one ninth and by the number of months of the appointment. The principal and primary criterion to be employed to determine salary increases for members of the faculty shall be years of experience. However, if a faculty member receives notice that employment will be terminated at the end of the current contract, that faculty member will not be moved to the next step on the salary grid for the reappraisal year or the terminal year of the contract. Cost-of-living increases, the second priority after maintenance of the scale according to years of experience, shall be calculated as a percentage change in the consumer price index as computed by the Bureau of Labor Statistics for the Seattle standard metropolitan area, from the period of the last salary increase, but in no event to exceed two years. The calculated percentage change shall, if necessary, be reduced to that percentage permitted by availability of funds (see below). That percentage change shall be reflected in the salary plan by multiplying all steps on the scale times the percentage change to establish a new scale. When rotation from faculty status to exempt administrative status, or vice versa, occurs or is contemplated, the appropriate vice president will determine the salary to be offered, in accordance with the exempt salary scale at the time of the appointment. The college shall distribute faculty and exempt administrator salary increase funds to faculty and exempt administrators in proportion to total faculty salaries and total exempt administrator salaries, respectively. If available funds are insufficient to cover both the step increases and the calculated cost-of-living increase, an allocation of funds shall be made on the following basis: movement of individuals on the scale by virtue of longevity shall take priority over cost-of-living increases; only if funds remain after accommodating step increases shall cost-of-living increases be calculated. If funds available are insufficient to cover the necessary step increases, partial step increases shall be granted on a uniform percentage basis, with the accommodation of the remainder of those step increases to take first priority when funds for salary increases are next available. In any event, cost-of-living increases shall not be granted to members of the faculty whose salaries are above scale who were employed within the six months immediately prior to the time the cost-of-living increase is to become effective. 1. If the funds for merit increases are insufficient to move all qualified persons to their next steps, cost-of-living funds will be used, insofar as possible, to achieve those merit increases. 2. If, however, the funds for merit increases are greater than necessary to move all qualified persons to their next steps, merit money allocated by the legislature will be distributed in its entirety to all faculty who, as a result of a formal evaluation, have qualified for upward movement on the salary grid. The distribution will preserve the percentage intervals of the current faculty scale. Annually, prior to March 1 (or at other times as required by funding availability), these guidelines shall be reviewed by a task force appointed by a task force, and modifications to reflect changed circumstances shall be presented by that task force to the president within 30 days. Annually, prior to April 15 (or more frequently as required), the salaries of members of the faculty shall be reviewed by the appropriate vice president, and recommendations for salary actions presented to the president within 30 days based on the criteria for establishment of the grid and criteria following regarding measurement of experience. The basic criterion by which placement on the scale is determined shall be the experience in work related to Evergreen's goals. 1. Acceptable experience includes: degree experience; teaching experience (pre-college, college and university); and non-teaching experiences (professional research, employment and practices; administration and management; relevant military, Peace Corps or Vista experience). 2. Teaching experience will be credited on a year-for-year basis, but the total teaching (plus degree and non-teaching) experience will ordinarily not exceed the time elapsed since receipt of the Bachelor's degree. Experience prior to the Bachelor's degree will be evaluated on an individual basis. 3. 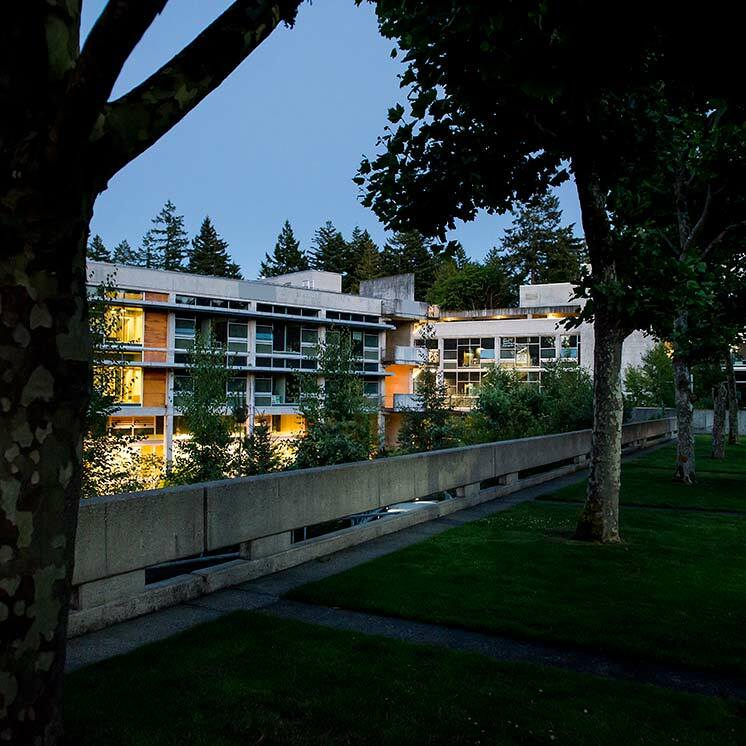 Non-teaching experience will be credited according to the relevance of that experience to the faculty member's role at Evergreen. 4. If a particular function of a faculty member's experience included a mixture of duties, the predominant activity will determine the experience category, and fractional experience years can be granted on this basis. d. additional and other kinds of degrees (such as two Master's degrees in unrelated fields) will be evaluated on an individual basis. These guidelines shall also apply to members of the faculty paid from other than general funds, except that in the case of grantor contract-funded faculty members, the provisions of the grant or contract shall govern. Should a member of the faculty believe that his/her position is incorrectly placed on the scale or that the salary increase or lack thereof resulted from an unfair or incorrect procedure, appeal may be initiated in accordance with the provisions of Evergreen's governance document.